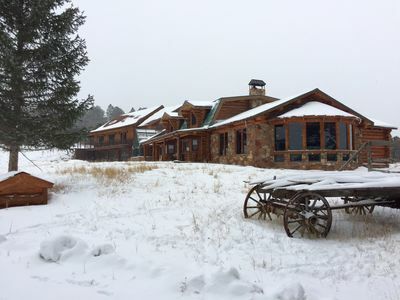 This breathtaking property is on 40 prime acres. 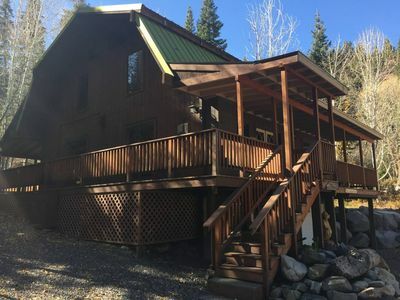 The large rustic log home has approximately 4000sq. 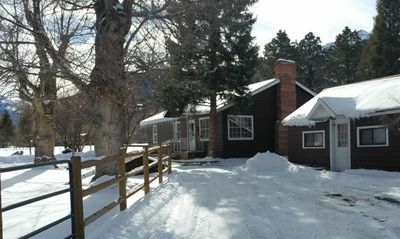 ft. of living space and is completely private. 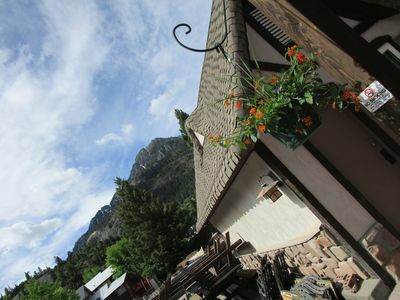 All rooms have spectacular views of the San Juan and Cimarron Mountains. 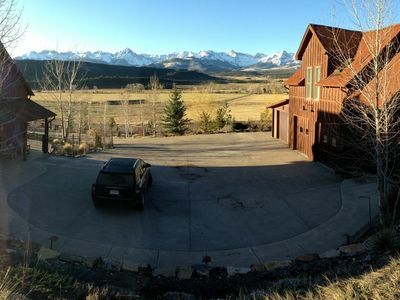 The property faces southward toward 14,000-foot Mt. 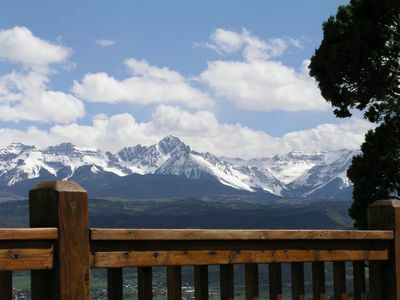 Sneffels, with a direct views of its classic north face. 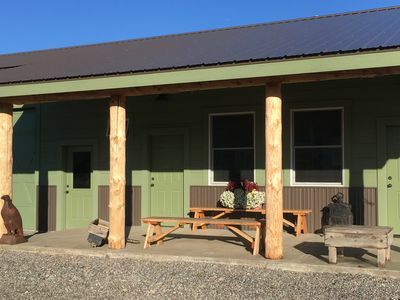 The large piano room is log and stone construction featuring a baby grand piano, a large sound system, a flat screen TV, a wood-stove, and large rustic chandelier. 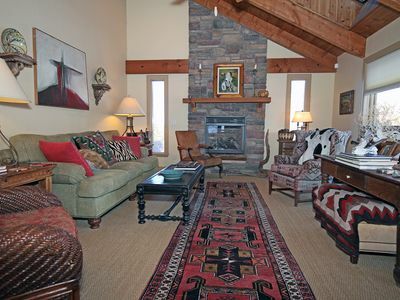 It is the perfect room for entertaining. Once we had a piano concert here and were able to accommodated 70 people. 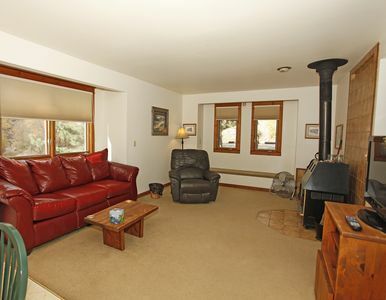 The living room is country style with Ralph Lauren furniture with a gas stove. 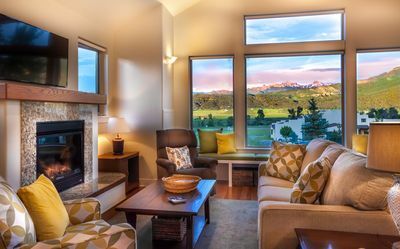 The Gourmet kitchen is top-of-the-line with granite surfaces, custom cabinetry and tile work, Viking gas range, Sub zero refrigerator, Viking dish warmer, and a Bosch dishwasher. There is also a separate copper sink and bar area with a 2-drawer refrigerator. 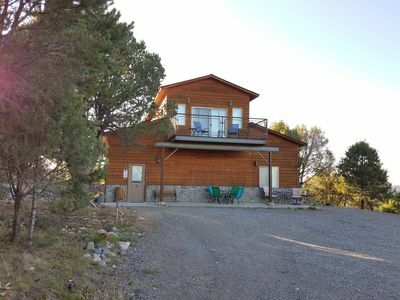 Three bedrooms are located on the second floor. 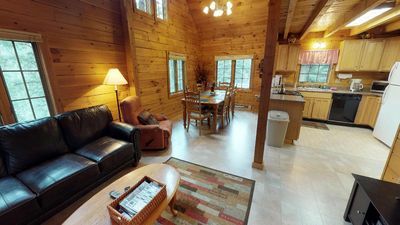 The master bedroom has a walk-in closet, and a bathroom featuring dual sinks, marble counter tops and custom tile work. 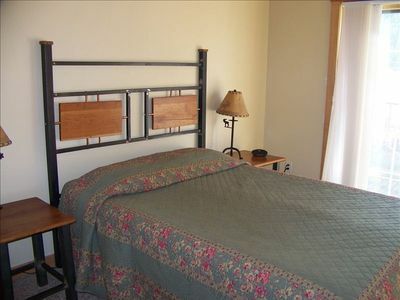 One of the guest bedrooms has a queen bed and other bedroom has twin beds. These share a full bathroom with bathtub. The large well-lit finished basement has 12.5 Japanese tatamis (Olympic Judo mats) for exercise, yoga, or judo. 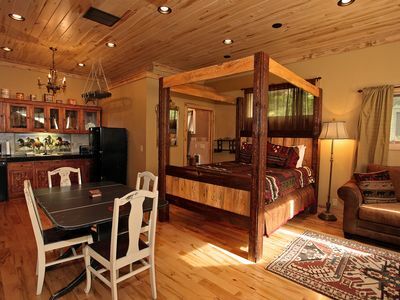 This area can also sleep up to10 people on tatami or inflatable beds. There is also a bathroom with a steam shower in the basement. 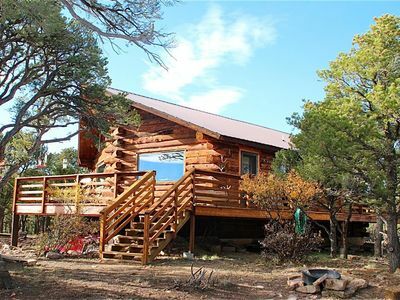 Golf is available at the beautiful Divide Ranch Golf Club located on Log Hill Mesa just a half mile away offering panoramic mountain views. 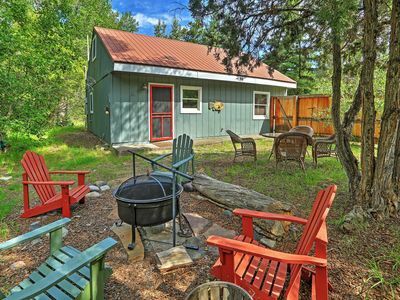 If you are looking for a peaceful getaway to relax from city life, Pine Grove is the perfect vacation home for you. 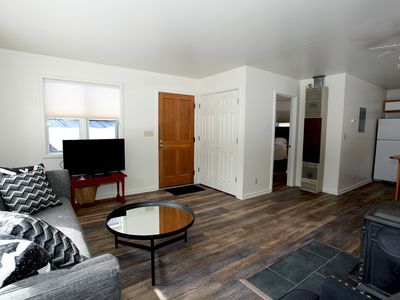 The new-addition area above the garage is NOT included for vacation home rental but its extremely large open area with massive vaulted ceilings and cherry hardwood floor could be made available for special events such as corporate retreats and weddings. 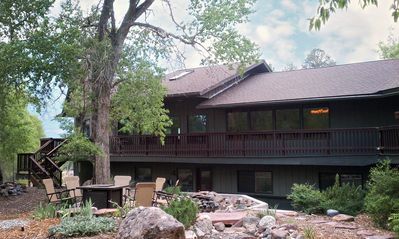 Pine Grove is property is well-suited for large weddings and banquets. 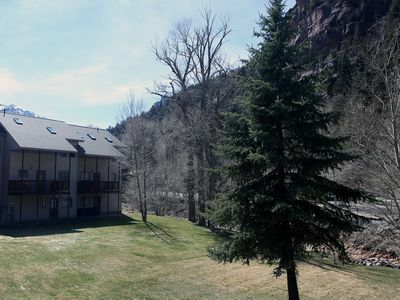 Simba Suites West, Beautiful 2 BR Condo in Downtown Ouray. NEW! 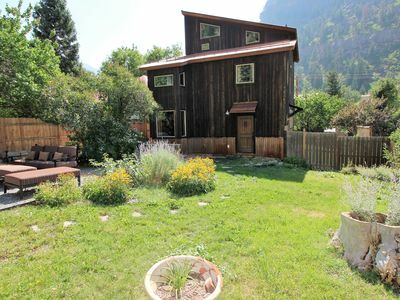 Lovely cabin in Ouray County, easy access, lots of room to roam. 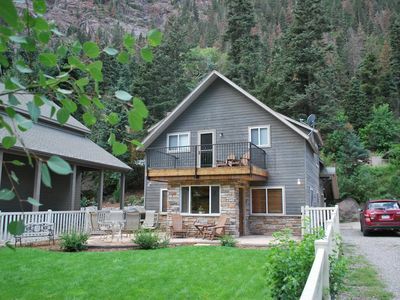 Large home in serene country setting just outside of Ouray!